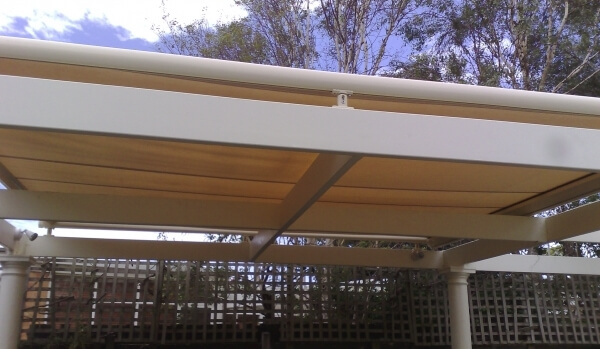 The GIOTTO fabric tension awning has been specifically designed primarily for horizontal application. 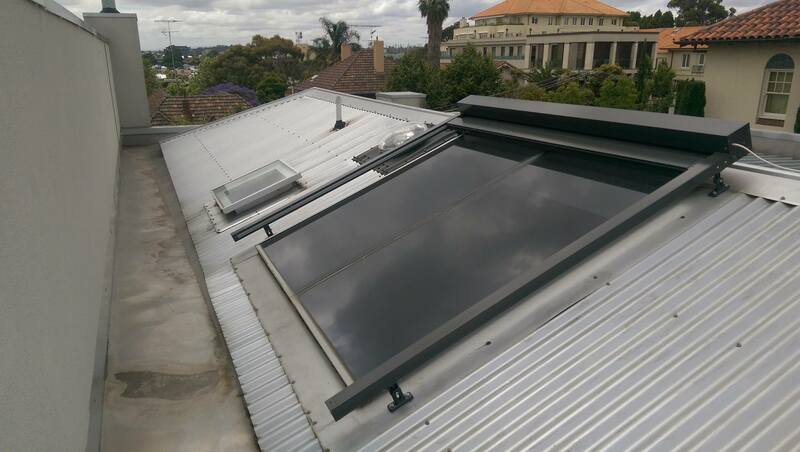 Ideal for heat reduction against Melbourne's sun. 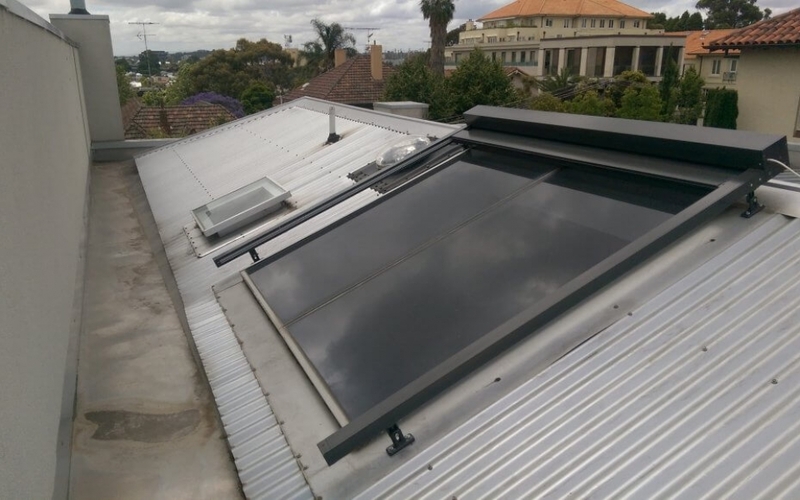 The GIOTTO glass roof awning has a special mechanism in the front bar which is designed to keep the fabric taut at any position. 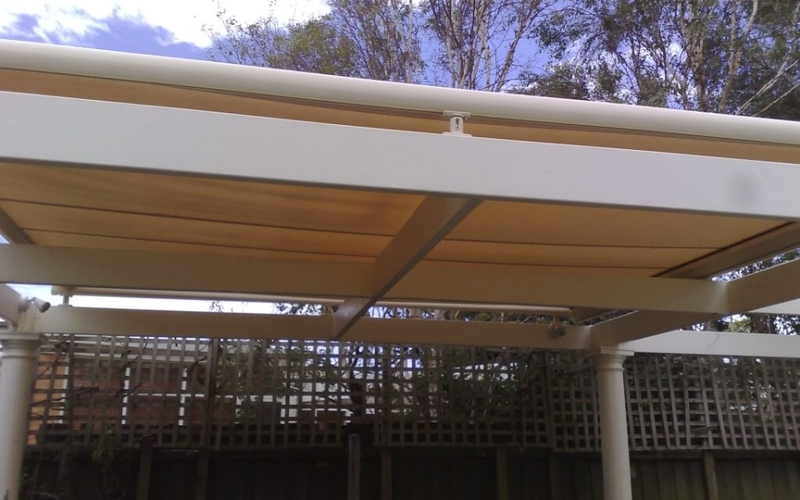 It is mounted onto compact brackets which can easily be secured on to glass frames or pergola posts. 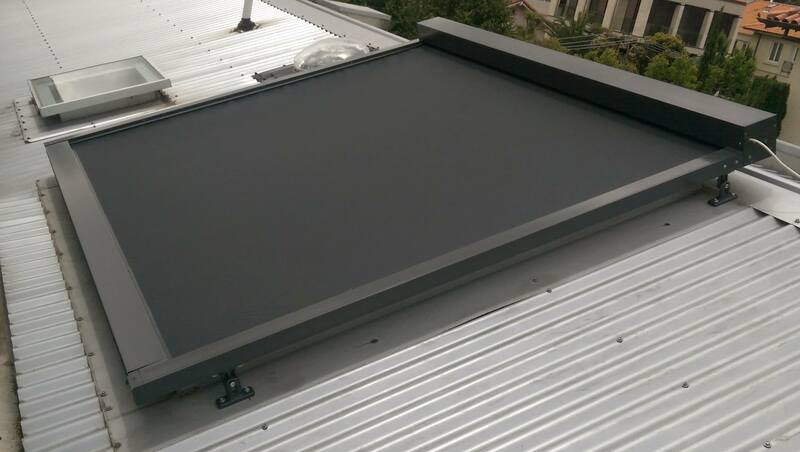 A single awning has a maximum width of 5 metres, and a maximum projection of 4 metres and is also available in a double version. This allows them to be operated separately depending on how much light you want to come through. They must be motorised. 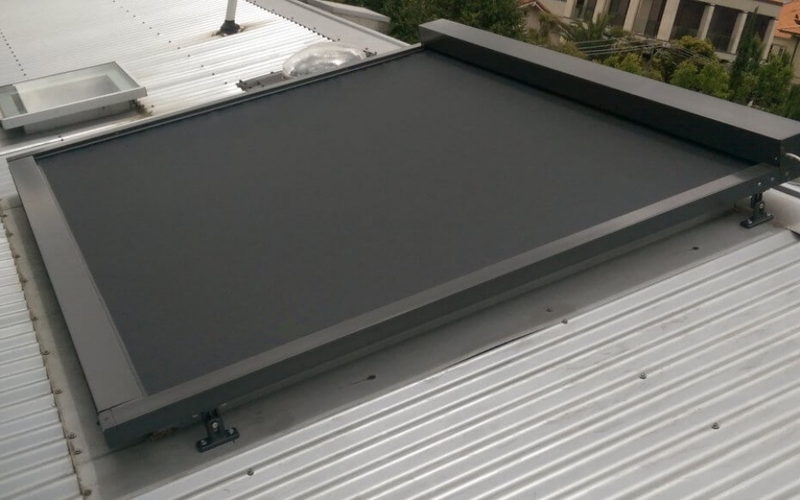 The Giotto is of European Design, and it’s made largely from extruded aluminium, and with stainless steel fittings, the powder-coated finish will ensure your GIOTTO awning has an extensive life. We only use the German Becker brand of motors and automation as well as the french Somfy ones. 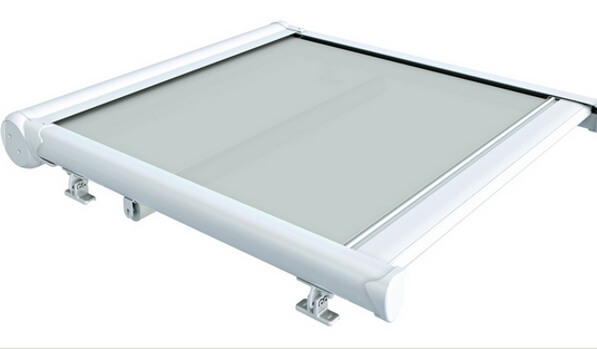 Quality leading fabric brands are also used on the glass roof awnings. They come with a 5 year warranty. 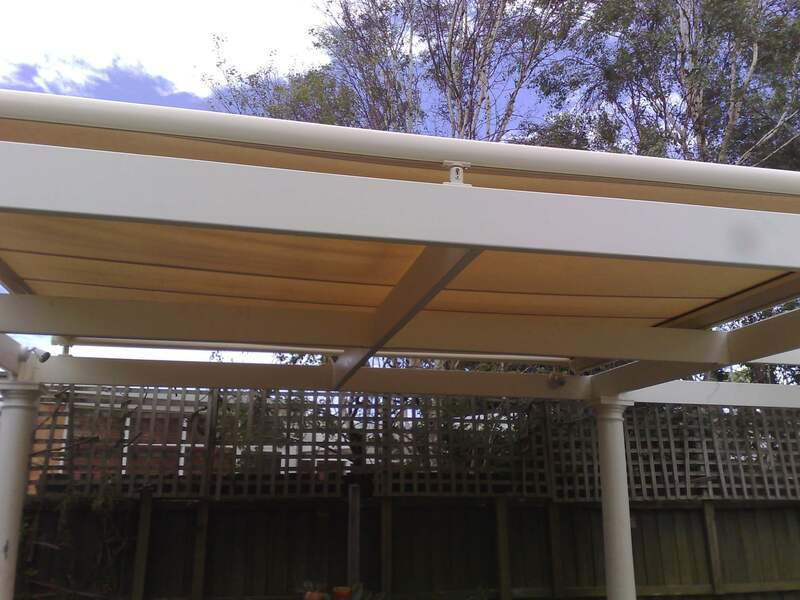 The GIOTTO sun roof awning comes in either a single or twin version. The frames can be powder-coated to any colour in the Dulux range. Large choice of leading fabrics and colours to choose from. Full automation with timers and sun sensors.